Until now, one thing absent from Alex Neil’s more than impressive 20 months as Preston manager has been his name being mentioned in relation to other jobs. 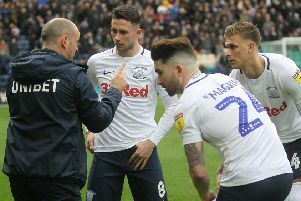 Speculation and gossip has tended instead to revolve around the Lilywhites’ young players – the Deepdale crown jewels. It is clear now that Neil is one of those gemstones in his own right, a manager who gets a great deal more right than he gets wrong. 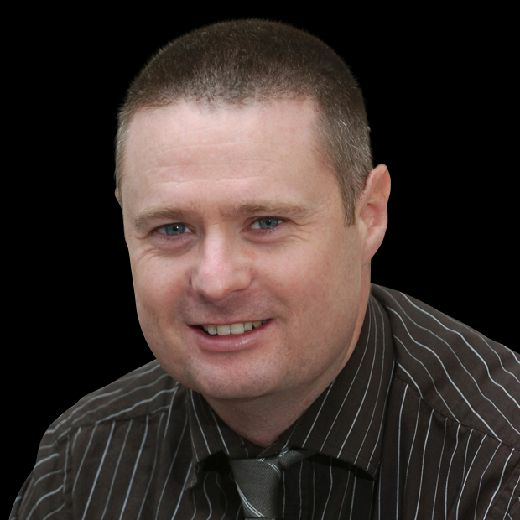 The Scotsman, in line with that of his PNE team, had been working under the radar. But Neil being linked this week with the vacancy at West Bromwich Albion has shown that his good work is perhaps being recognised beyond Deepdale. Whether the interest in him by Albion is genuine, we can only speculate. That is after all, what it is at the moment, speculation. Although having a good manager linked elsewhere can raise a feeling of unease, it should be taken too as a compliment. If Preston were fighting a relegation battle or plodding along in lower mid-table, it would be safe to assume that attention would not come Neil’s way. Their strong form of the last two months, coupled with a seventh-place finish in 2017/18, means others will look at him. That doesn’t mean to say North End will lose him, just because his name has been written about in the media. At Thursday morning’s press conference – a few hours after arriving back from Middlesbrough – the subject of WBA’s interest came up. Neil distanced himself from the speculation and said he could not control what might have been said or not said, at the Hawthorns. He went into plenty of depth about how much he enjoys it at PNE, in particular how he likes the fact he is left to get on with the job without any interference. Agents and contracts are someone else’s domain, his is to get the best team possible out on the pitch. It is a straight forward line of command, Neil reporting to Peter Ridsdale who is club owner Trevor Hemmings’ man on the ground. Structures at other clubs resemble a spider’s web with there being so many strands. More than once in the past – unprompted too – Neil has spoken along similar lines. He has found that the Preston job and him very much go hand-in-hand. Neil’s stock is probably at its highest point since when he managed Norwich in the Premier League. Once they dropped down from the top-flight and it was looking like he could not take them straight back up, he paid with his job. Landing the North End post provided a swift return to management at the same level which he had left a few months earlier. It’s not always been plain sailing for him, with injury pile-ups blowing a big hole in the bow both last season and this. But to have guided PNE to within two points of a top-six place last season and then to have got them lodged in the play-off chasing pack this time, is testament to the job he is doing. Preston have had to start from the bottom and work their way up this season, that poor start casting doubt at the time in some minds about Neil’s suitability for the job. Thankfully patience was in plentiful supply above him and that approach is now reaping its rewards. Results show that the PNE squad respond to Neil, after all you don’t go 11 matches unbeaten in this division and win six away on the bounce by accident. By Neil’s own admission, he got it wrong to start with at Middlesbrough by using a 3-5-2 system. He gave it half an hour and reverted to 4-1-4-1, with the introduction of Brandon Barker for the start of the second half a key decision. Hopefully this wave of speculation can soon blow over and Neil’s name can stay clear of the gossip columns. Success will always bring admiring glances, so I don’t see speculation as reason for a meltdown, maybe more of a confirmation that the job is being well done here. In the last few days, two more away wins were put in the bag by North End. Six away victories on the bounce is some going and has not been done by PNE since the 1950/51 season. The 1-0 win at Blackburn a week ago was something of a ground-out affair but none of the 7,514 Preston fans at Ewood Park were grumbling. Boro the other night was such a strange game from PNE’s perspective. At half-time you would not have given them a prayer of a point, let alone victory. Fair play for them being so ruthless once the game got beyond the hour mark. They took full advantage of Daniel Ayala’s red card, with Paul Gallagher scoring from the resulting free-kick. Then for Jayden Stockley to score just flipped the night on its head. After a win like that, not even the road closures on the way home could take the shine off it. Who wouldn’t want to see Darlington in all its glory at midnight? Just one time, I’d like to come back from a midweek away game without having to follow a diversion!